Impulse Record's extensive collection of impulse responses allows you to choose from a wide range of locations and spaces to apply to your music or film productions. When working with audio, reverb is by far one of the most important processing effects to be applied. Reverbs come in many styles, but convolution reverbs offer a great deal of realism and flexibility by working with impulse responses from actual locations. An impulse response captures the acoustic characteristics of a space such as a room, church, hall or other location, and translates it into data that can be utilized by convolution reverbs. This leads the way for packages of impulse responses to be captured and sold for use in the studio. 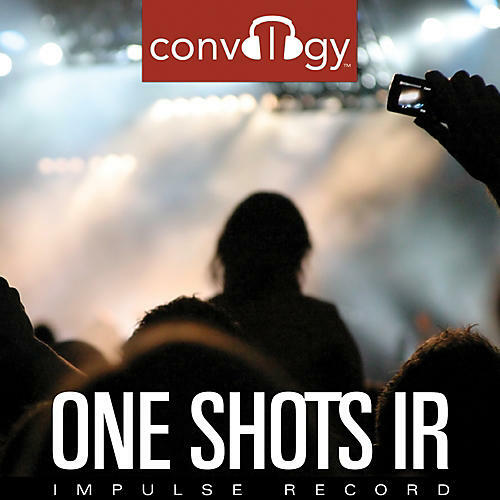 The Convology One Shot Collection is a stunning collection. Film, TV and Industrial production individuals will absolutely love the depth and unique character of these huge one shots. These IRs were created from a multitude of sources including, large rooms & halls, fireworks, rocket engines, incorporated synthetic synthesis engineering, and meshed with many ambient rich textures to produce an array of heart pounding cinematic rumbles and crashes. These IRs have a wide range of length and scope to meet the demands of any production. All of the stops have been pulled out within this collection giving you the sonic firepower that you've been looking for. This collection comes standard in 96/24 wav files compatible with most convolution players on the market. All preserved in 96/24 wav files to capture every nuance in your recordings!